Looking for that unique gift for the men in your family? 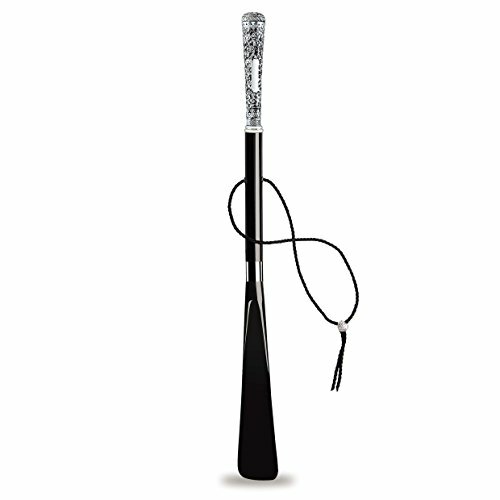 Your search may end in the shaze silver-plated Stylized Ribbon Shoehorn. The shoehorn is not just a product for utility but also a piece to display your fashion sense. The top of the shoehorn has been plated in silver with the ribbon motifs. The design makes this piece exclusive for fashion accessories for men. Made of resin and electroformed silver, the product is worthy for personal possession as well as gifting. Dimensions : Weight: 276.00 grams, Length = 56.00 cm, Width: 3.50 cm.